Whether you’re in the market for a condo or a single-detached home, the buying process is something you’ll want to familiarize yourself with before you begin your search. But don’t worry, this “process” isn’t as complicated as it sounds. 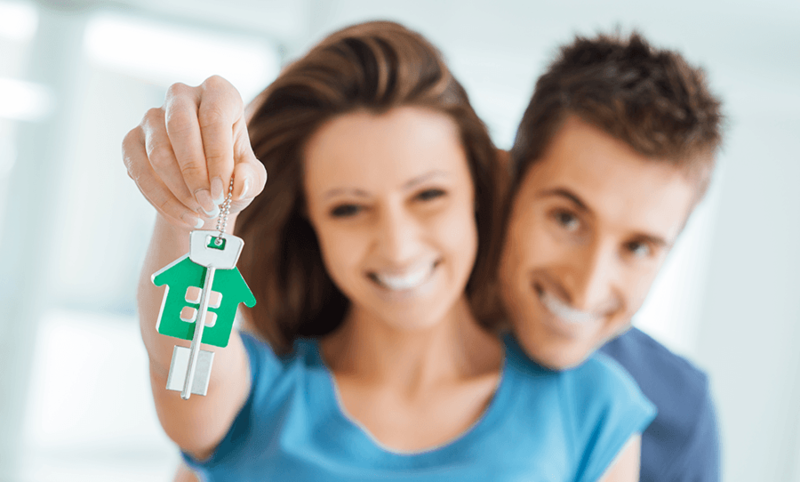 In fact, with a little understanding and a solid partnership with a great Edmonton real-estate agent, you’ll come to see buying a new home is easy! A mortgage pre-approval should be your first step in the home buying process because you need to know what you can afford! After all, there’s nothing worse than falling in love with a home only to find out the bank won’t give you the loan you need to pay for it. A pre-approval also makes you look more serious to sellers. They are far more likely to accept an offer from you if you’re backed by a lender than a home buyer who isn’t. Now that you have your pre-approval letter in hand, sit down and make a checklist of your wants and needs. 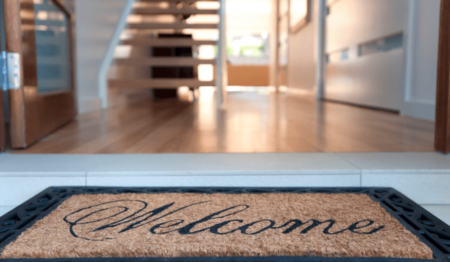 This will give you a clear picture on your new home “must-haves” vs. the items that would be nice but aren’t deal breakers. For example, you may NEED three bedrooms but WANT all the latest upgrades. Or, you NEED to live in a neighbourhood that’s close to work but WANT to live in a cul-de-sac. Use a top-down approach to help you determine what items are essential for your happiness and what you can live without. 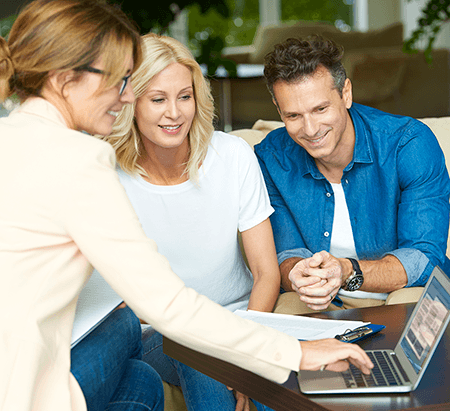 While it may be tempting to go it on your own, working with a real-estate agent in Edmonton has countless benefits during the home buying process. Not only will they save you time and energy (you can count on them to find only the homes you’ll love within your price range), they’re backed by a ton of experience! This means they have a keen understanding of the current housing market in Edmonton and fair market value – meaning you won’t get stuck overpaying. You can also rely on their expertise and honesty when it comes to the state of the properties you explore together (if they think it’s a lemon, they will let you know). And the best part? Your real estate agent’s commission is paid by the seller (the majority of the time)! You have nothing to lose and everything to gain! 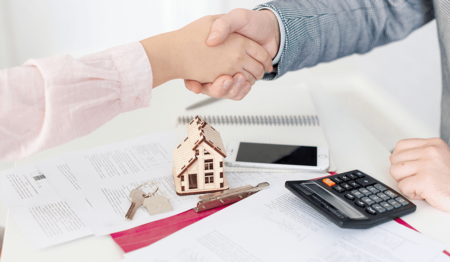 When it comes time to make an offer, your real estate agent will ensure full disclosure from the seller as well as negotiate on your behalf (this is especially helpful should the deal fall into multiple offers). They will present the written offer to the seller – which will include any stipulations or clauses from either party (i.e. offer stands as long as the home passes inspection). Once accepted, your real-estate agent will walk you through the closing process which will include your deposit, closing costs, closing and possession dates and so forth. On possession day, your real-estate agent will be in contact with the seller’s agent. Once the paperwork has been reviewed and cleared, they will pick up the keys to your new home and deliver them to you at your convenience. Then the fun begins! Your agent will be more than happy to walk through the home with you to ensure everything is as it should be. They will also be there to answer any questions you might have, even after you’re settled. As you can see, the home buying process isn’t as overwhelming as it may seem at first. While that’s not to say there aren’t a few other smaller details you may have to take care of as you go along, when it comes to the big stuff, a good Edmonton real-estate agent will be there to help guide you every step of the way. Do you have more questions? Call us today at (587) 800-4450 to get the answers.